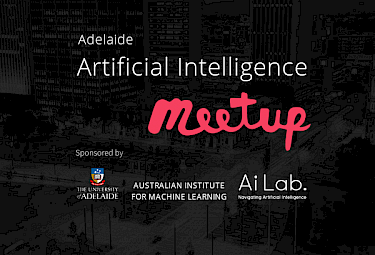 Following our launch on the 23rd August, we’re excited to announce the second Adelaide Artificial Intelligence Meetup on the 25th October 2018 from 5.45pm until 8.30pm – and what a lineup we have for you! AI is currently being used across the world to help advance medical diagnosis and treatments. Our first speaker is Dr. Jonathan Hall; the co-founder, director and inventor of the award winning, cutting-edge Med-tech startup Life Whisperer, which looks at human embryos to help couples have children through IVF. Jonathan will provide an overview of Life Whisperer, outcomes of recent clinical studies, and provide a demo of the web-based tool. Passionate about AI, we are here to help support and build a diverse, inclusive and informed AI community, where like-minded people can discover, discuss, network and promote the latest in Artificial Intelligence in a fun and friendly format. The growing AAI community includes developers, startups, industry leaders, academia and government, so whether you’re a professional, a developer, an enthusiast, or just plain interested, please come along, spread the word, and support our brilliant presenters. AiLab is proud to host, organise and sponsor the AAI Meetup. We are also thrilled to announce the University of Adelaide, Australian Institute for Machine Learning as a new sponsor for this event – huge thanks to the AIML for their support. See below for further details. 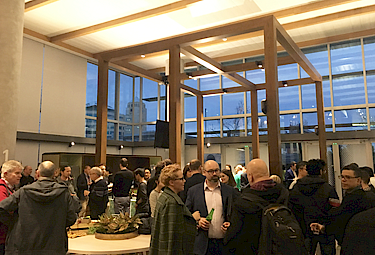 7:15pm: More drinks, nibbles and networking. The event will be held at Allianz House, 55 Currie Street, Adelaide, South Australia 5000 in the theatre. Follow the signs for directions or check with the security desk by the main door on arrival. 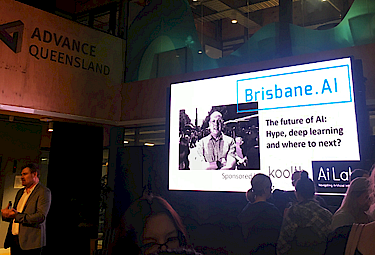 Paul Dalby is the Business Manager for the Australian Institute for Machine Learning, who are the kind sponsors for this event. Paul will speak about the incredible projects, research and work the AIML are doing. A corporate responsibility professional, Beth Worrall has held senior roles spanning technology, banking, health, resources, engineering, government & social entrepreneurship. Having started her career at Microsoft, Beth has recently returned to the company to lead the National Skills Agenda from Adelaide. As a mentor of young people & a mother of a toddler, Beth cares passionately about the future of work. What will the future hold? How do we prepare our children? What are the risks but, more importantly, what are the opportunities? 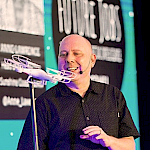 Dr Jonathan Hall is a Co-Founder and Director of the cutting-edge Med-tech startup Life Whisperer, and CTO of Presagen AI-driven cloud-based health diagnostics. Jonathan is the inventor of Life Whisperer’s deep-learning and computer-vision technology, which looks at human embryos to help couples have children through IVF. After completing a validation study in Australia with seed funding from TechInSA and Amazon Web Services, Life Whisperer formed a partnership with the highly-regarded US clinic chain Ovation Fertility, applying AI to embryo selection, performing up to 50% better than highly-skilled embryologists. Life Whisperer performed a further study confirming detection of Down Syndrome using AI computer vision during IVF - a world first. Jonathan has PhD's in both theoretical physics and nanotechnology (University of Adelaide) specialising in biosensing in embryos, both of which have received awards in their respective fields, and retains Associate Investigator status in the Centre for Nanoscale BioPhotonics. After chairing the international IONS-KOALA Conference on optics, atomic and laser applications and being voted inaugural Elected Representative Sciences on the University of Adelaide Alumni Council, Jonathan was a member of one of the few teams to reach the CSIRO ON Prime pre-accelerator program for commercialisation in Sydney, and won First Prize for both Medical Innovation and Research Commercialisation in the Australian eChallenge awards. Life Whisperer and Presagen are firmly placed on the world stage, with recognition as Startup of the Year and Machine Learning/Big Data Innovation of the Year in SA at the AIIA awards, and merits in these categories in the AIIA Nationals. Presagen received the Greatest Potential Award at Tech23. Life Whisperer was nominated for the finals at TechCrunch Startup Battlefield Australia in 2017, and was awarded ‘Global Winner – One to Watch’ for the APAC region at TalentUnleashed, as judged by Richard Branson and Steve Wozniak. Life Whisperer uses artificial intelligence (AI) to assist clinicians identify viable embryos in IVF, and to ultimately improve outcomes for couples wanting to have children. Life Whisperer uses deep learning AI and computer vision to 2D images of embryos to identify the most viable embryo with the highest likelihood of a successful pregnancy. Life Whisperer is delivered to clinics via a scalable web-based tool and can be easily accessed on-demand by any clinic globally. In two recent clinical studies in the U.S (with Ovation Fertility) and in Australia, Life Whisperer performed better when compared to highly skilled clinicians in accurately identifying embryo viability. An ongoing preliminary clinical study in the U.S. has also shown that Life Whisperers’ AI can identify genetic defects in embryos (Down Syndrome), suggesting that Life Whisperer has the potential to become a gold standard for embryo pre-screening, and lead to improved IVF success rates and healthier babies. In this presentation Life Whisperer’s co-founder Dr Jonathan Hall will provide an overview of Life Whisperer, outcomes of recent clinical studies, and provide a demo of the web-based tool. Co-investment by the State Government and the University of Adelaide saw the concept of Australia’s first institute dedicated to research in machine learning finally come to fruition. In early 2018, the Australian Institute for Machine Learning (AIML) was officially established. Although a new Institute by name, AIML was formed from the Australian Centre for Visual Technologies (ACVT), a group with a long history of delivering high-impact fundamental and applied research. The AIML's world-class research strengths lie in machine learning and the methods that support this; artificial intelligence, computer vision and deep learning. AiLab assists individuals, academia, industry, government & community across the globe with navigating the AI landscape & learning about the complex field of AI via workshops, research, resources, news & events. Following our launch on 23rd August, we hosted the 2nd Adelaide Artificial Intelligence Meetup on the 25th October.